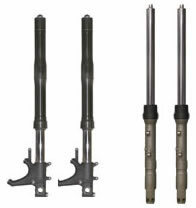 We make it easy for you to get your forks or yokes straightened with us. Either by sending them by post or dropping it down to us for a same day turn around. Forks are one of the first things to bend when involved in an accident. They are usually a good place to start when assessing what structural damage has occurred. Upon arrival your forks will be assessed by us and if there is any damage to surface for example badly creased we may not be able to repair. 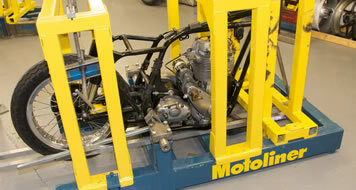 All forks can be left complete which we will then strip in house if necessary. You can choose one of the options on the right. 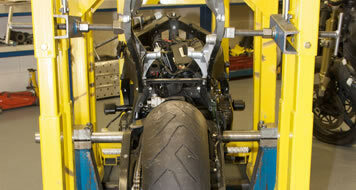 If you bring us your motorcycle for a frame repair we can also check and straighten your forks & yokes at the same time. 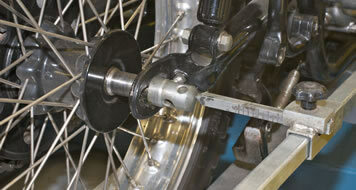 Yokes can easily bend from a frontal accident don't just assume it's just the forks. It is a good idea to get yokes checked along with your forks. 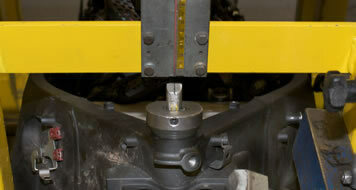 We can repair both alloy and steel yokes. 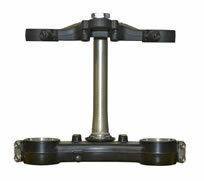 If you are coming to the workshop we would like the fork legs as well as the yokes. 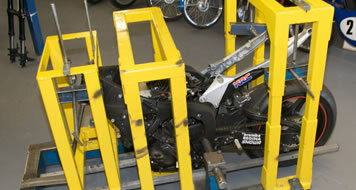 If you bring us your motorcycle for a frame repair we can also check and straighten your forks & yokes at the same time. We can provide a Same day Service with a pre-booked appointment at no extra cost or alternatively leave for your convenience. We make it easy to send in your forks to us. 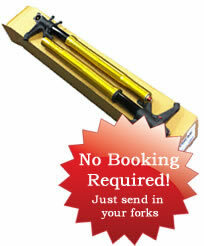 Just pack up your forks up in a suitable box and send via courier, no booking needed. We aim to repair and return your forks the same day. We make it easy to send in your yokes to us. Just pack up your yokes up in a suitable box and send via courier, no booking needed. 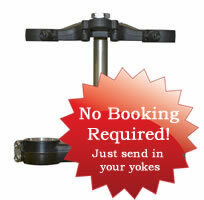 We aim to repair and return your yokes the same day.